6,500 Euros includes reading materials, excursions and career development program. 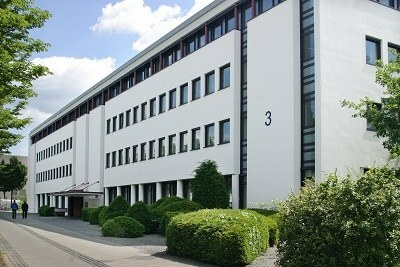 Student dorms from the University of Bonn are available to our students. The annual simulation of European decision-making processes (EUROSIM) is held in cooperation with a consortium of universities from the State of New York and Europe. Joining our highly acclaimed Master program is an important turning point for your future. Studying at ZEI offers you the chance to understand the EU and the critical interplay between governance and regulation. ZEI professors and a "flying" faculty of renowned experts and practitioners who travel to Bonn from all over the EU teach the program in intensive seminars. As a ZEI Fellow (our students) you will be part of an international group of young professionals with diverse backgrounds and experiences, and will have the opportunity to have your research published and be a part of the ZEI research team. Together with your class mates you will visit and experience the EU institutions first hand. Making friends and contacts which will stay with you throughout your life. At the completion of your studies you will become a valued member of the worldwide ZEI Alumni Network. Law, which deals with the constitutional principles of the EU, the sources and application of EU law, as well as the legal structure of the internal market and the jurisdiction of the European Court of Justice and other constitutional courts in the EU. Basic modules provide students with a general knowledge and an overview of the subject. Specialized modules help to gain a deeper understanding of particularly important policy areas. During Europe Dialogues, practitioners from EU institutions, governmental administrations and international organizations provide an insight into their respective field of work. Experts from the private sector present their working places as well as their companies during Business Talks. Each Master class conducts field trips: to Brussels and Luxembourg, Frankfurt and the German capital, Berlin. During these excursions, ZEI Fellows (our students) visit the EU institutions, international organizations, companies and German governmental bodies related to EU affairs. While experiencing the EU in practice, ZEI Fellows can network with alumni and exchange ideas with practitioners. ZEI�s Master of European Studies - Governance and Regulation also offers a Career Development Program (CDP). Professional training sessions prepare students for the application process and job interviews. During the course of study, students learn to work in multi-national teams, to be tolerant and cooperative, and to show strong intercultural understanding. These skills are essential for a professional international career. After successful participation, ZEI Fellows (our students) receive a certificate recognising their newly trained skills. ZEI Fellows are English-speaking young professionals from all over the world who plan to enter positions in EU institutions, international organizations, national administrations, NGOs or national/multinational companies. Every year ZEI welcomes participants from many different countries. The small class of up to 32 students per year allows for comprehensive individual support as well as for a close student network. The Center for European Integration Studies is an interdisciplinary research and post-graduate education institute of the Rheinischen-Friedrich-Wilhelms University Bonn. Founded in 1995 under the Bonn-Berlin Law and a decision of the University Senate, ZEI provides future oriented research on unresolved questions of European integration and the global role of Europe. ZEI�s academic focus on �Governance and Regulation in the EU� bridges academia and practice, linking research with innovative knowledge transfer. The ZEI Directors conduct research, provide political and legal consulting, and offer further education training. ZEI researchers regularly publish monographs, articles in peer reviewed journals, newspaper articles, and contribute to their own publication series. ZEI coordinates and participates in research projects, hosts visiting researchers, holds discussions and dialogues and offers mid-career training programs. Since 1998, ZEI has offered postgraduate students the opportunity to study the one year �Master in European Studies � Governance and Regulation�. Lecturers from all over Europe present students with diverse methods and perspectives on politics, law and economics of the European Union. Practical experts and excursions to the decision-making centres of European politics add to the international atmosphere at ZEI in Bonn.